Big news! 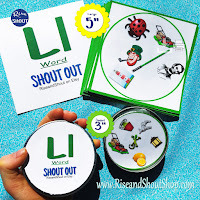 Shout Out is being rolled out in a new 5" size too. 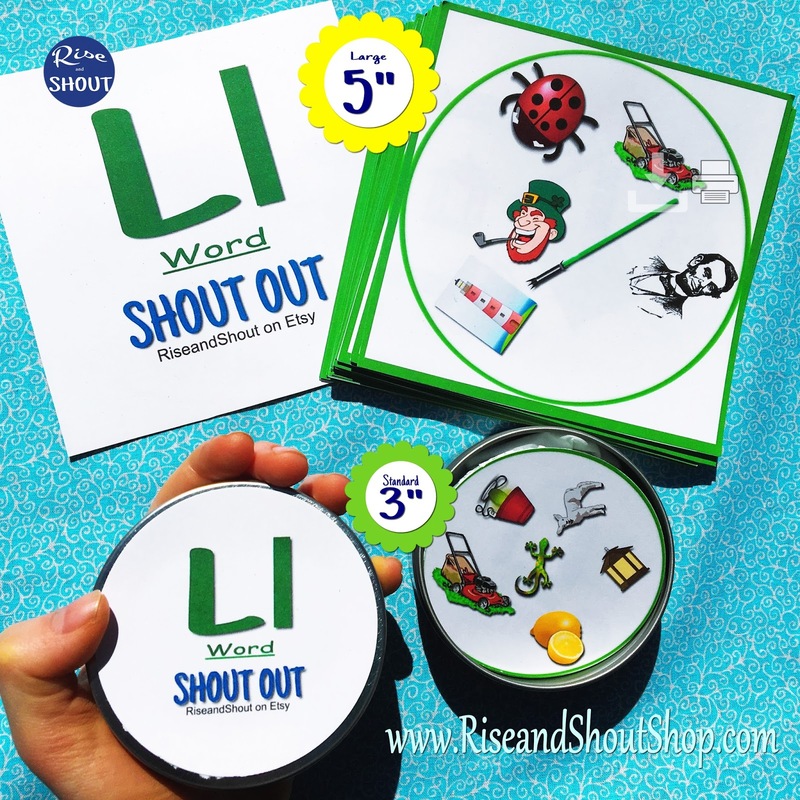 After talking with speech therapists and teachers who love using Shout Out, they suggested that a larger size might be helpful in therapeutic and classroom settings. Their wish is my command! Now it is easier for each person to easily see the pile, look at the card and find the matching image. (Each card has one match with every other card). Shout Out your match first and get the card. Get the most matches and WIN! I love the new large size for sitting around a table or in small group settings. Most teachers enjoy the convenience of the simple square layout that makes cutting a breeze. Storing the new size is easy: The 5x5 size fits easily into a pencil zipper case for easy travel. Or slip the cards and the image map into a page protector and keep all your Shout Out games in a binder. There are also many plastic or file containers for 5x7 photos that are perfect to hold a deck or two of cards. L words, R words and Th Words Shout Outs are available immediately in the large 5" size or bundled with the standard 3" files. (links below) I love the versatility of having both available. The 3" size is perfect for throwing into a bag to take along to restaurants, parks or to pull out while waiting a practice. Either way, you can't go wrong. It's great to learn as you play and enjoy your kids. I will be gradually creating 5" files for each of the games. Please let me know if there is a specific game that you'd like to see LARGE. I'll do the most popular requests first. And a big thank you to the teachers and speech therapist who suggested the larger size. I'm always happy to hear suggestions or how you use your games at home, school, therapy or more.